The Las Vegas housing market has definitely been on a winning streak over the past couple of years, and that trend looks to be continuing into 2017. Normally, the winter holidays are the slowest time of year for real estate, but not in Vegas. 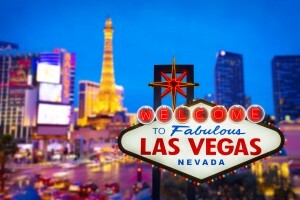 The sun shines brightly year-round in Sin City, and it looks like home values do too. In November of 2016, the median home value was $206,400, which was up over 9 percent from the year before. Existing single-family homes sold at an average price of about $240,000, which is up nearly $7,000 from October. For condominiums and townhomes, the rise continued where the median selling price was $120,000 — up 20 percent from 2015. According to December data from the Greater Las Vegas Association of Realtors, the total number of existing homes, condominiums, and townhomes sold in November was 3,244. That’s up a whopping 30 percent from a year ago. During the same timeframe, there were 7,252 single-family homes for sale without an offer, which is a drop of more than 30 percent from the year prior. For the 1,141 condos and townhomes listed without offers, the numbers were down 49 percent from a year ago. The end of 2016 also saw houses in Las Vegas selling faster than they did the year before. Single-family homes, on average, sold in 48 days with condos and townhomes selling in 42 days. The decrease in amount of time a residence stayed on the market compared to the year before, in both cases, is in the double digits. Luck doesn’t seem to be running out for Las Vegas anytime soon: Home values are expected to continue rising in 2017, with a prediction of a 5-percent increase by the end of the year. Home prices will also continue to rise, most likely as a result of housing inventory not being able to meet the demand of buyers. Currently, Las Vegas has less than a three-month supply of available homes for sale — six months is considered ideal. They’ll need to up the ante on those odds, but it’s definitely not a deal-breaker if you’re considering buying. Foreclosures: At this point, there are 3.6 foreclosures for every 10,000 homes in Las Vegas. That’s a pretty good proportion, but it’s still something to keep an eye on further down the line. With the 2017 housing forecast looking the way it is, foreclosures shouldn’t have any negative effect on the Las Vegas market. And those are pretty good odds. Rental properties: Many investors and homeowners are choosing to rent their homes instead of sell them, because rents are also rising. This could also be a bad bet for the 2017 outlook. All in all, the Las Vegas housing market looks to be a jackpot for 2017— the house always wins, right? Looking for a new home in Las Vegas? First Option is always here to help. Get in touch with us anytime, or connect with us on Twitter and Facebook. Previous Post: Is Now the Right Time to Sell?